Main » Articles » Modern Masters 2015 Edition is Coming! Modern Masters 2015 Edition is Coming! Today during the changeover from coverage of the World Magic Cup to the top 4 of the World Championships Modern Masters 2015 Edition was officially announced! 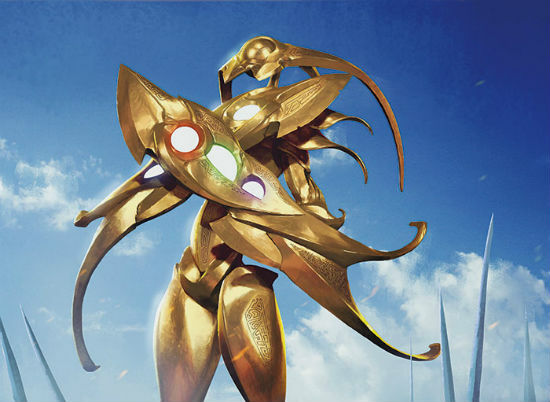 Modern Masters 2015 Edition will include cards from 8th Edition through New Phyrexia. New sets include Magic 2010, Magic 2011, Zendikar Block, and Scars of Mirrodin block. In order to accomodate the ever increasing size of Grand Prix events, each venue will be able to hold 5,000 players in the Main Event. Helene Bergeot also announced that the Las Vegas venue will be able to house a whopping 10,000 players in the Main Event and once Grand Prix Las Vegas hits 5,001 players it will be split into two separate Grand Prix. May 28th-31st could very well see 20,000 people playing Magic in four different tournaments. If the last Grand Prix Las Vegas was any indicator, this weekend in May is shaping up to be one of the biggest in the game's history.